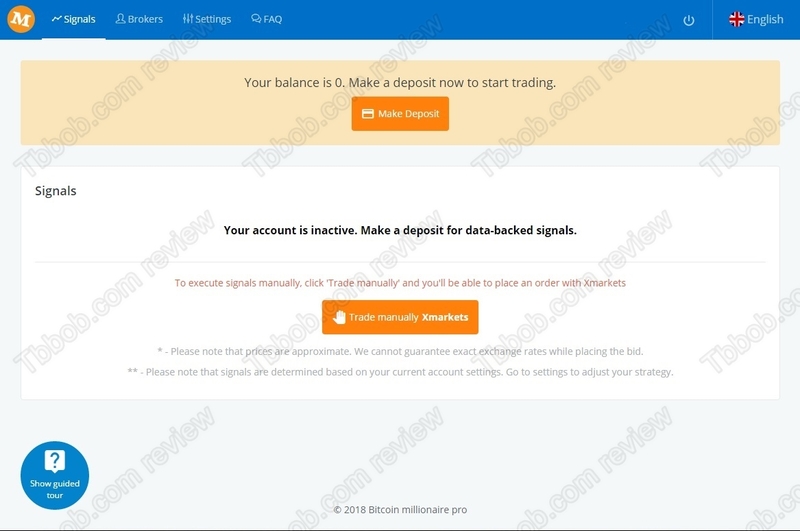 In this review we reveal that Bitcoin Millionaire Pro is a scam. It is presented by the International Council for Bitcoin. 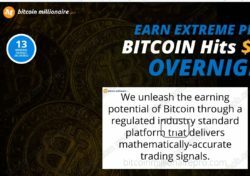 Bitcoin Millionaire Pro supposedly is a free software that delivers accurate Bitcoin trading signals that can make you thousands of dollars per day. As simple as that. So, the question is, can you really become a bitcoin millionaire for free? The truth is that Bitcoin Millionaire Pro is a scam and a quite funny one, because it is completely ignoring reality of cryptocurrency markets. 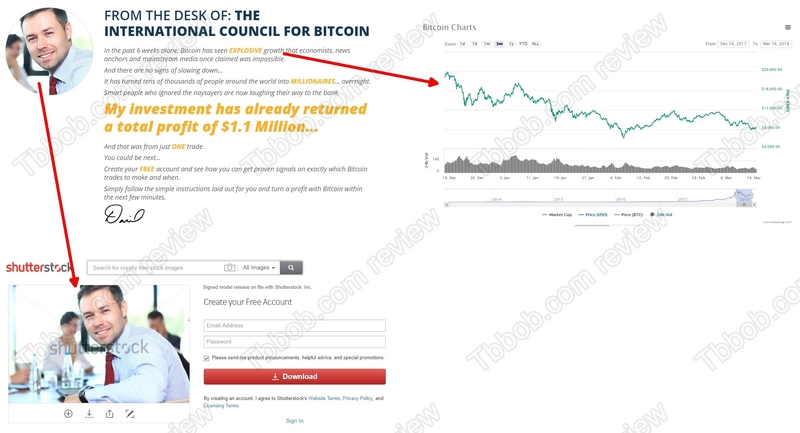 Bitcoin Millionaire is supposed to be backed by the International Council for Bitcoin. The problem is that International Council for Bitcoin does not exist. You can see on our picture that the alleged member of the council is fake, scammers used a stock photo. On our picture you will also notice that the statement about a recent explosive growth of Bitcoin is completely false, Bitcoin has been falling for the last three months, it has lost about 60% of its value. Another funny thing about Bitcoin Millionaire Pro is that you will notice that the system is in fact not trading Bitcoin. Check our screenshot from the platform, we took it from the video, there are normal Forex pairs traded, such as EUR/USD and USD/JPY. No cryptocurrencies. Another false claim made by Bitcoin Millionaire Pro is that it uses a regulated platform. 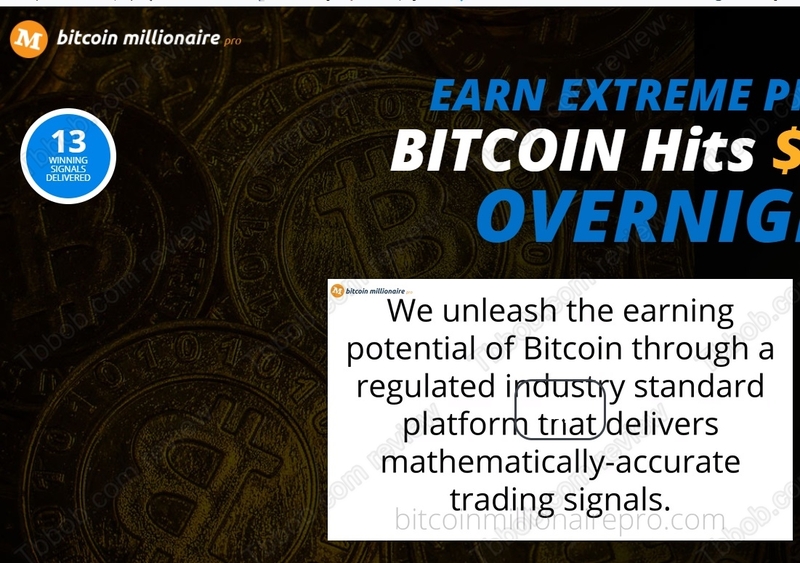 It is not true, the Bitcoin Millionaire Pro trading platform is not regulated and the broker Xmarkets they will send you to is not regulated either. So, we are facing here illegal investment services. 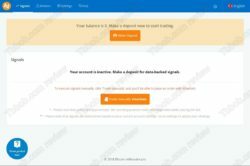 Finally, let us explain what is the true purpose of Bitcoin Millionaire Pro. As you might have already noticed, after registering you will be pushed to deposit money with a given broker – Xmarkets. The reason for this is that scammers who run Bitcoin Millionaire Pro are being paid by this unregulated broker for referring new depositing clients. That’s how it works and this is why they won’t let you try the platform before you deposit. They don’t want you to know that it is losing money before they get their commission. Bitcoin Millionaire Pro is a dumb scam that is made to take your money and lose it with an unregulated broker. Stay away from it! 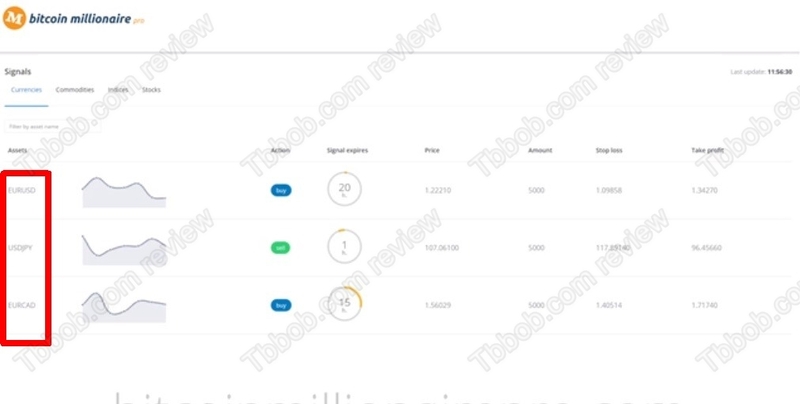 If you are interested in making money in cryptocurrency trading, try a free demo account with a regulated broker to see how it really works. The recent history shows that cryptos are not rising all the time, so be sure to build a solid strategy before potentially investing real money.